A fatal turf war between neighborhoods haunts the city of Richmond, CA. Donté Clark transcends the violence in his hometown by writing poetry about his experiences. 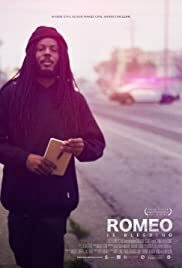 Using his voice to inspire those around him, he and the like-minded youth of the city mount an urban adaptation of Shakespeare's "Romeo and Juliet", with the hope of starting a real dialogue about violence in the city. Will Richmond force Donté to compromise his idealistic ambitions? Or will Donté end Richmond's cycle of trauma?